MSC Cruises today cut the first steel of MSC Seashore, the first of two MSC Cruises Seaside EVO-class ships currently on order at Fincantieri. At a ceremony held at Fincantieri’s shipyard in Monfalcone, Italy, MSC Cruises’ Executive Chairman Pierfrancesco Vago and Fincantieri’s Chief Executive Officer Giuseppe Bono launched the first steel cut of the ship, which is due to launch service in early 2021 at 169,400 tons. 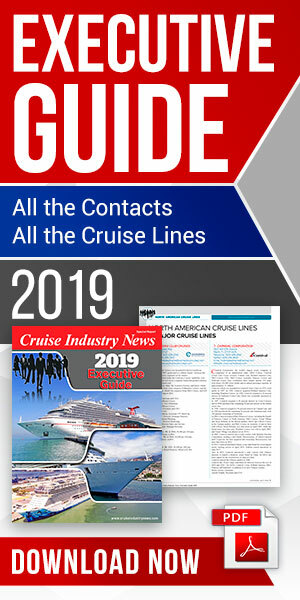 The new class of ship builds on the Seaside-class, with a larger MSC Yacht Club, more specialty restaurants on deck 8 for dining al fresco, a larger number of whirlpools across the ship; and 200 additional cabins as well as larger public areas. Moreover, the Seaside EVO ships will be equipped with the latest advanced environmental technology, including a selective catalytic reduction system; exhaust gas cleaning technology; state-of-the-art waste management and recycling systems; advanced water treatment systems; and an advanced energy and heat recovery system, as well as other technology and measures to further increase energy efficiency, MSC said, in a statement. Giuseppe Bono, CEO of Fincantieri, stated: “The design of this ship is the perfect symbol of what Fincantieri has become and of what the Group today represents on the international market scene and at an overall industrial level. MSC Seashore is designed to impress: first of all due to her size, she will be by far the largest ship ever built in Italy, allowing us to further increase our management standards, but even for her top-class technological level. She is a prototype that we developed based on a one-of-a-kind and hugely successful platform as Seaside is demonstrating to be. Over and above that, we are very proud to contribute to the growth of MSC Cruises, a company which is emerging as one of the major market players”.